If you've driven the M4 South recently, you'll have noticed the action at the old Clairwood Racecourse. Earthworks, pile-driving, trenches being dug, storm-water pipes, and more - construction has begun. The Clairwood Racecourse was acquired by Capital Property Fund in 2012 for a record breaking price of R450 million, one of the biggest property deals in Durban's history. Now, following its rezoning and an EIA, we are about to witness the birth of a much needed, modern logistics park in the South Durban Basin. The budget of R3.5 billion set aside to build the Clairwood Logistics Park includes R110 million spent on upgrades to surrounding roads and infrastructure. As part of the EIA, the park will include an 8 hectare wetland, which you can already see portioned off on the North East corner, closest to the M4. Construction will also provide for 18,900 new jobs over the 4 years it will take to build, and then 4600 permanent jobs going forward. 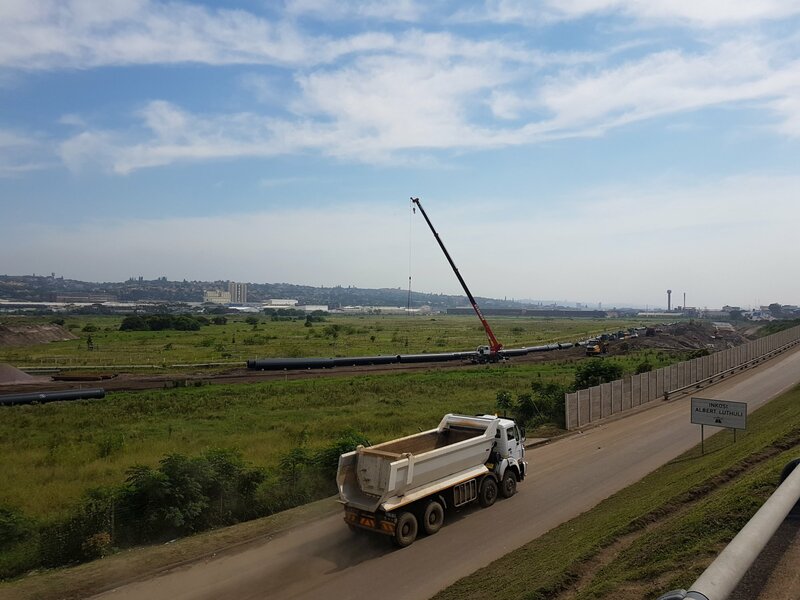 If their recently completed Westlake View Logistics Park in Gauteng is anything to go by, Durban's Industrial Property Market is in for a treat. A-Grade warehousing with: 12 tons per square meter floor loading capacity; 13.5 meter height to the eaves; Columns spaced at 32m x 32m intervals - Allowing for more efficient racking to a greater height. Whilst more expensive to build, and therefore demanding of a higher rental, the operational efficiency and increased volume, allows Logistics operators to make more of their footprint. Whilst Westlake View totals only 19,878 square meters of gross let-able area, Clairwood should provide for up to 350,000 square meters of warehouse space. Add to that: Quick access onto the M4, and N2; just 13km from Durban's Harbour; controlled access, a secure perimeter and 24/7 security; truck laybys and staging areas; large yards and container stacking areas - and it rapidly becomes worth every cent. As any logistics operator in the South Durban Basin will tell you, these are all wishlist items that are seldom possible to find in a property in Congella, Rossburgh, Jacobs, Mobeni or Prospecton. December 2020 may seem a long way from completion, but if one is to capitalize on the opportunity that Clairwood Logistics Park is to provide, then now is the time to engage with the development and secure a facility purpose built to suit your unique needs.